The building shown in the photograph below occupies the site of a pre-​​Roman Etruscan burial ground. It first grew up as a fortified stronghold or rocca in the Middle Ages. The second stage of the building’s history dates from 1599 – the date on the entrance door boss. This was the time that the building, by now a monastery, assumed its current structure and appearance and lost its original defensive features. The palazzo is on two floors with underground tunnels carved into the soft tuff rock (a type of rock consisting of consolidated volcanic ash ejected from vents during a volcanic eruption). The first floor is divided by wide arches made of tuff, now closed up. These were originally used as shops, grain stores, dispensaries and stables. The corridor leads into an internal courtyard from where the upper floor can be reached. This floor was used as living quarters for the monks and possibly their guests. Maps drawn up during restoration work carried out in 1851 describe the purpose of the various rooms. The rooms along the front of the building overlooking the square were for enter­tainment: loggia, reception room, dining room, etc. Service quarters and guest rooms were located to the west. Casa Galilei was an annex built onto the main building as guest quarters and is contem­porary with the main building (i.e. 16th century). The restoration work exposed a suspi­ciously pristine ‘chimney’ shaft leading up to the main monastery building that the monks may have used to eavesdrop on their guests. To the south there were rooms for the monks, and their chapel. The palace was inhabited by monks until the late 18th century. After that, it was used first as a communal residence, then a school and finally was sold into private hands in the 1970s. 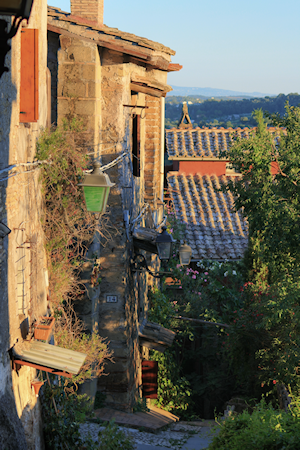 At this time, many artists moved out from Rome to take up residence, attracted by the picturesque surroundings, the pace of village life and the lower prices. 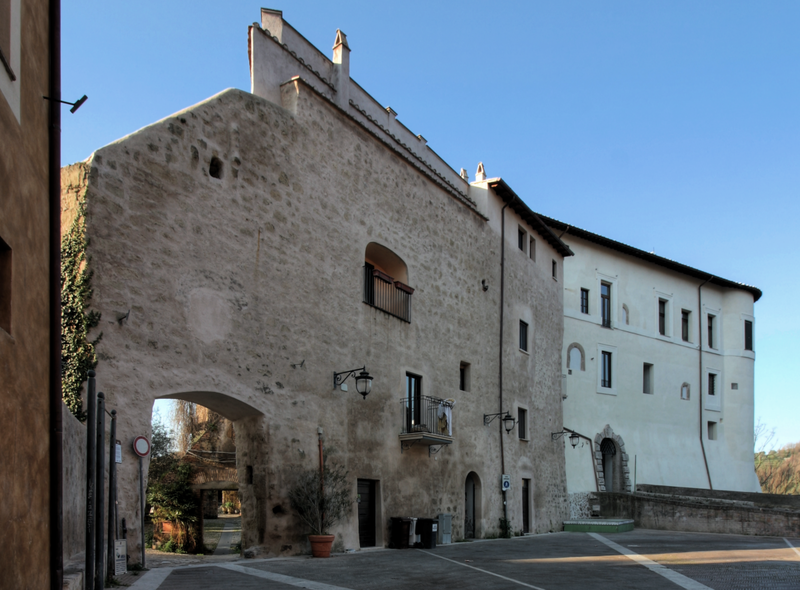 For a long while, the building was not the subject of any general renovation plan, but funding from the European Union has recently helped restore both the Rocca and Capena’s whole historical centre.